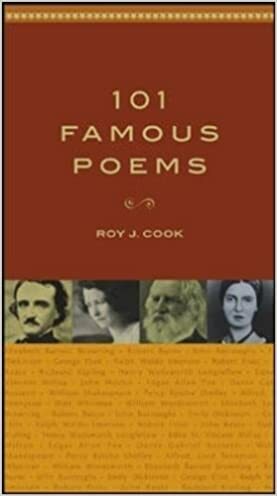 Featured biographies of famous poets through the ages. From Homer and Virgil to Keats, Shakespeare and Dickinson. Homer (c. 8th Century B.C.) Considered the greatest of the ancient Greek poets. 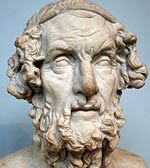 Homer wrote two epic poems, The Iliad and The Odyssey. His work was hugely influential in shaping Greek culture and literature. 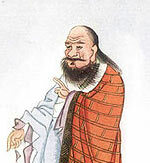 Laozi (Lao Tsu) (c 571 BCE) Laozi was a Chinese poet and philosopher. He was the author of the Tao Te Ching and the founder of philosophical Taoism. Sappho (c 570 BCE) One of the first published female writers. Much of her poetry has been lost, but her immense reputation has remained. Plato referred to Sappho as one of the great ten poets. Virgil (70 BCE–19 BCE) Roman poet. Virgil wrote three epics; Eclogues (or Bucolics), the Georgics, and the Aeneid. Kalidasa (4th–5th Century CE) Indian classical poet. 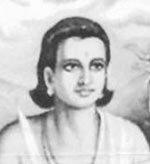 Kalidasa is considered the greatest poet and dramatist in the Sanskrit language. Rumi (1207–1273) Sufi mystic and poet. Born near modern day Afghanistan, Rumi settled in modern day Turkey. Rumi’s mystical poems express aspects of the Divine romance between man and God. His longest work was the Masnavi. 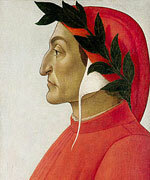 Dante Alighieri (1265–1321) Italian poet of the Middle Ages. His Divine Comedy is one of most influential European works of literature. Dante is also called the “Father of the Italian language”. 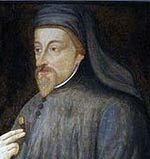 Geoffrey Chaucer (1343–1400) Considered the Father of English Literature. Best known for Canterbury Tales (1475). Kabir (1440–c. 1518) Indian mystical poet. Kabir fused different religious traditions writing poetry which offered a direct approach to God. His Songs of Kabir were translated into English by Tagore. Mirabai (1498–c. 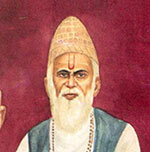 1557) Indian poet and mystic. Born into a royal family, she forsook worldly privileges and devoted herself to writing devotional poems and songs about Sri Krishna. 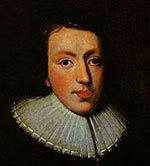 John Milton (1608–1674) English poet. Best known for his epic poem Paradise Lost (1667), written in blank verse, telling the Biblical story of man’s fall. Also wrote Areopagitica (1644) in defence of free speech. William Shakespeare (1564–1616) English poet and dramatist. Widely regarded as the greatest playwright in the English language. Shakespeare also wrote 154 sonnets, many on the theme of love, e.g., Sonnet 116 – Let me not to the marriage of true minds, and A Fairy Song. William Blake (1757–1827) English Romantic poet, artist and mystic. Blake wrote Songs of Innocence, Songs of Experience, The Four Zoas and Jerusalem. Robert Burns (1759–1796) Scottish romantic poet often based on traditional folk songs. He wrote the perennially popular Auld Lang Syne. 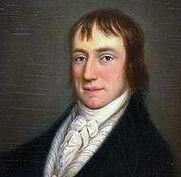 William Wordsworth (1770–1850) English romantic poet from the Lake District, who wrote many poems related to nature, such as his Lyrical Ballards. Notable poems include Lines written a few miles above Tintern Abbey, The Prelude and She dwelt among the untrodden ways. 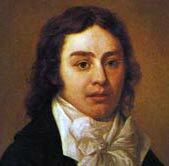 Samuel Taylor Coleridge (1772–1834) English romantic poet. Coleridge’s famous poems included The Rime of the Ancient Mariner, Christabel and Kubla Khan. 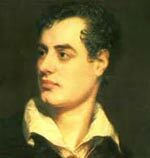 Lord Byron (1788–1824) English romantic poet, who led a flamboyant lifestyle travelling across Europe. His works included Don Juan, Childe Harold’s Pilgrimage and She Walks in Beauty. 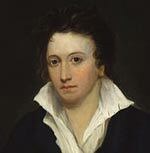 Percy Bysshe Shelley (1792–1822) English romantic poet, and friend to John Keats. Famous works include Queen Mab, Prometheus Unbound and Adonais – his tribute to Keats. 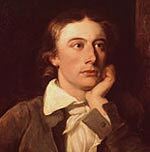 John Keats (1795–1821) English Romantic poet. One of his best-known works is Endymion: A Poetic Romance (1817). Famous poems include; A Thing of Beauty (Endymion), Bright Star, When I Have Fears, Ode To A Nightingale. Ralph Waldo Emerson (1803–1882) American Transcendentalist philosopher, poet and writer. Famous poems include Concord Hymn, The Rhodora, and Brahma. 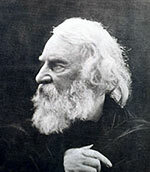 Henry Wadsworth Longfellow (1807–1882) Popular American poet of the Nineteenth Century, Longfellow wrote many lyrical poems, including notable works, Paul Revere’s Ride, The Song of Hiawatha, and Evangeline. Alfred Tennyson (1809–1892) Popular British Victorian poet, Tennyson wrote Charge of the Light Brigade, Ulysses, and In Memoriam A.H.H. Edgar Allan Poe (1809–1849) American poet and author. 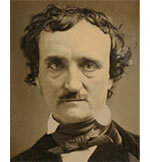 Poe’s notable poetry included: The Raven, Annabel Lee, and A Dream Within A Dream. 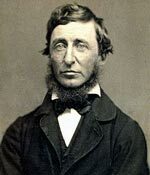 Henry David Thoreau (1817–1862) American poet, writer and leading member of the Transcendentalist movement. Emily Brontë (1818–1848) One of the Brontë sisters, Emily is best-known for her novel Wuthering Heights, and her poetry, including I Am the Only Being Whose Doom, Hope and Come Walk with Me. Walt Whitman (1819–1892) American poet who bridged the Transcendentalist poets with the more realistic style of the Twentieth Century. 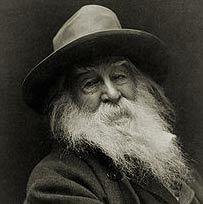 Whitman’s Magnus Opus was Leaves of Grass, a ground-breaking new style of poetry. Emily Dickinson (1830–1886) American female poet. Wrote many short, vivid poems, often on themes of death and immortality. Famous poems include I taste a liquor never brewed, Hope is the thing with feathers and Because I could not stop for Death. Oscar Wilde (1854–1900) Irish writer and poet. Best known for his humorous/satirical plays. 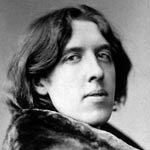 Wilde also wrote a collection of poems (1881) and The Ballad of Reading Gaol (1898). Rabindranath Tagore (1861–1941) Indian writer, humanitarian and poet. Awarded Nobel Prize for Literature (1913) for Gitanjali. Other famous works include Stray Birds and Fireflies. W.B. 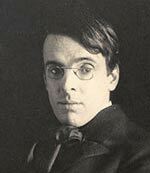 Yeats (1865–1939) Irish modernist poet. Yeats was the first Irishman to be awarded the Nobel Prize for Literature in 1923. Famous works included: The Tower (1928) and The Winding Stair and Other Poems (1929). He was made an Irish senator in 1923. 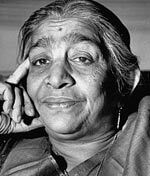 Sarojini Naidu (1879–1949) Influential Indian author and poet. Also Indian independence activist. Two major poetry publications, The Golden Threshold (1905) and The Feather of The Dawn (1961). 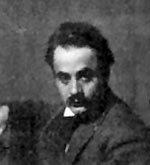 Khalil Gibran (1883–1931) Lebanese poet who later emigrated to the US. Gibran was a leading figure in the Arabic Renaissance. His inspirational work The Prophet (1923) has made him one of best selling poets. 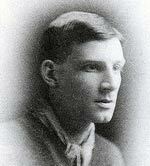 Siegfried Sassoon (1886–1967) British soldier and celebrated war poet. After seeing considerable action in the trenches on the Western Front, Sassoon became critical of the war effort, writing a letter to the Times criticising aspects of the war. 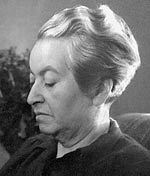 Gabriela Mistral (1889–1957) Chilean poet, diplomat and educator. Mistral was the first Latin American woman to win the Nobel Prize for Literature in 1945. 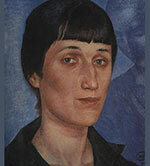 Anna Akhmatova (1889–1966) Russian modernist poet. Akhmatova’s masterpiece was the short lyrical poems of Requiem (1935–40) – a tragic description of Stalin’s rule of terror. 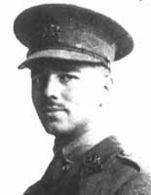 Wilfred Owen (1893–1918) British war poet. In poems, such as Anthem for Doomed Youth he vividly described the horrors of trench warfare and the misplaced loyalties of patriotism. 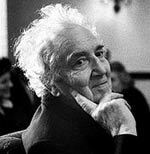 Robert Graves (1895–1985) British war poet. He published a volume of realist war poetry in 1916. He later wrote an influential book Goodbye to all that – charting his disillusionment with life as a British officer. 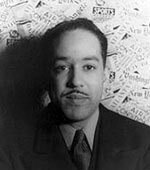 Langston Hughes (1902–1967) African-American poet and social critic. Hughes epitomised the Harlem Renaissance and the era of Jazz poetry. Notable poems include Dreams, As I grew older and Let America be America Again. 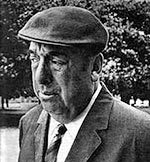 Pablo Neruda (1904–1973) Chilean poet. Won Nobel Prize for Literature in 1971. Neruda wrote an extensive array of poetry, including surrealist, political and love poems. John Betjeman (1906–1984) English poet. Poet Laureate of the United Kingdom from 1972 until his death. Betjeman was one of the most popular poets for his humorous depiction of English life. Czeslaw Milosz (1911–2004) was a Polish writer and poet. He defected to the West in 1951, writing a classic anti-Stalinist book The Captive Mind (1953). His poems explored similar themes, such as Incantation, Ars Poetica? and Child of Europe. 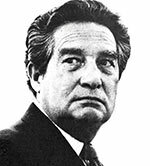 Octavio Paz (1914–1998) Mexican poet and diplomat. Associated with surrealism and existentialism, Paz also explored the life of peasants in Mexico. Paz was awarded the Nobel Prize for Literature (1990). 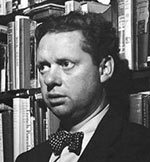 Dylan Thomas (1914–1953) Welsh modernist poet. Popular with general public for accessible poems, such as: Do not go gentle into that good night and And death shall have no dominion. Charles Bukowski (1920–1994) was a German-born American poet. Bukowski’s poetry documented the life of ordinary and down-trodden Americans helping to create a strong popular appeal. 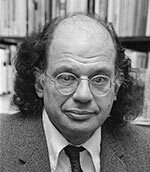 Allen Ginsberg (1926–1997) American beat poet. Influential anti-establishment poet of the 1960s. His poetry supported political and civil freedoms. Important works include Howl (1957), and The Fall of America (1974). 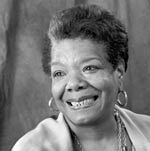 Maya Angelou (1928–2014 ) Author and modern American poet. Considered an American poet laureate. She recited her poem On the Pulse of the Morning at Bill Clinton’s inauguration 1993. 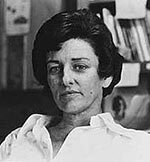 Anne Sexton (1928–1974) American poet, developed a confessional style of poetry exploring feelings of anguish and despair. 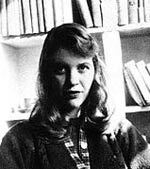 Sylvia Plath (1932–1963) American poet, married to fellow poet Ted Hughes. Plath advanced the genre of confessional poetry. Two major publications, The Colossus and Other Poems and Ariel. Benjamin Zephaniah (1958– ) English poet and writer, born to West Indian parents. Zephaniah writes poetry influenced by Jamaican Rastafarian tradition. He is also a social activist in fields of civil rights, animal rights and vegetarianism. Citation: Pettinger, Tejvan “Famous Poets”, Oxford, www.biographyonline.net – 10th March 2015. Updated 3rd October 2017. People of the Romantic Era (1790s–1850s) Romantic poets (Blake, Keats, Coleridge, Wordsworth and Shelley) and Romantic artists, composers and writers. Writers / authors – Famous authors. J.R.R. Tolkien, William Shakespeare, Leo Tolstoy, John Steinbeck and Ernest Hemingway.